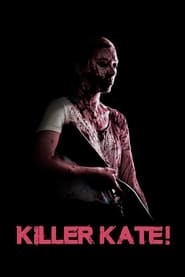 Freestyle Digital Media swings hard and delivers several deathly blows with the official trailer for Killer Kate!, opening in select theaters Averno and various VOD platforms Oct. 26. Killer Kate! is the debut film from writer-director Elliot Feld, and stars Danielle Burgess (“The Sinner”) and Tiffany Shepis (Victor Crowley, The Accused Tales of Halloween). The film also introduces Alexandra Feld.